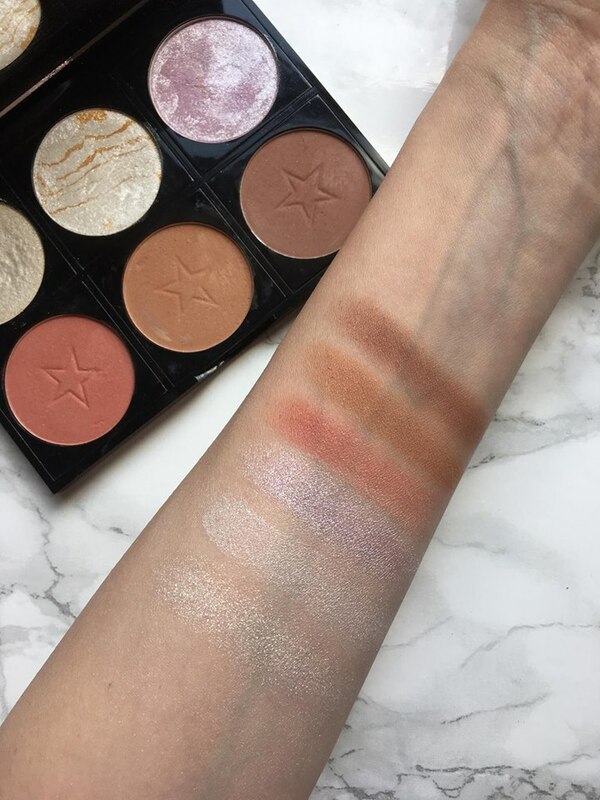 I bought the Makeup Obsession highlighter in Moon, third swatch along, a couple of months ago and it's the only highlighter i've really been using. I was so super impressed with the pigmentation that I ordered 5 more pans to create this cheek palette. 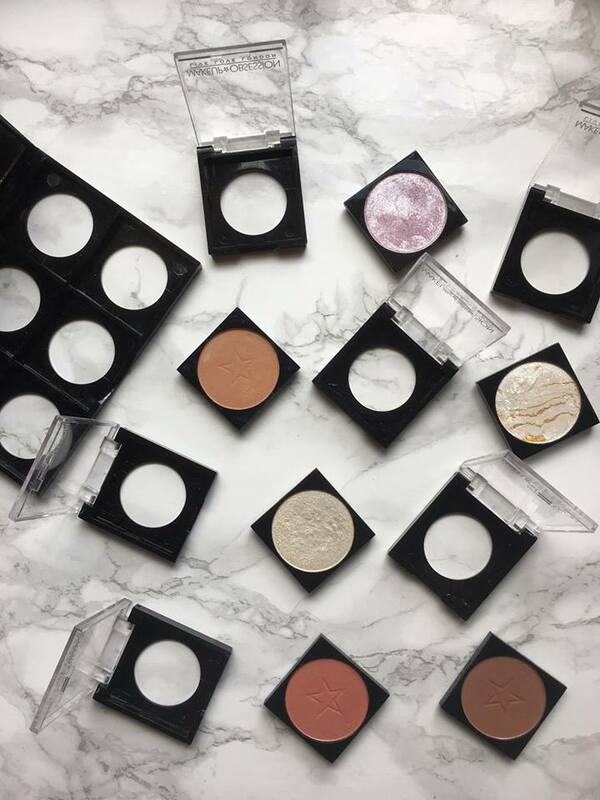 Makeup Obsession is a fairly new, totally inexpensive, makeup brand that allows you to create really customisable palettes. You can fill their palettes with a mix of eyeshadows, cheek, brow and lip products from their line. The palettes are designed really well especially seeing as how cheap they are. The palette comes with a massive mirror which is great for travelling with. There are holes on the back of the palette so you can read the names of the products, without having to remove them from the palette to check, which is super handy. What is really great is the pans come in packaging you can keep, instead of those annoying cardboard ones, so you can take the pans out and travel with just one product if you want. I filled my top row with highlighters, the shades I picked out were Ice, Lightening and Moon. Ice is a yellowy based highlighter and is my least fave out of the palette as it is really patchy. Even when I only use a little bit at a time to build up to a nice glow it comes off as patchy, it doesn't blend well at all! Moving on to the two highlighters that are hands down great standout products from Makeup Obsession. I picked up Lightening because of the marble effect that it has which unfortunately does wear off as you use it. I'm obsessed with this highlighter as it gives the perfect icy white, wet, looking highlight. If that's the kind of highlight you normally go for I really recommend picking this one up! Unlike the first highlighter it layers beautifully and doesn't come off patchy at all. 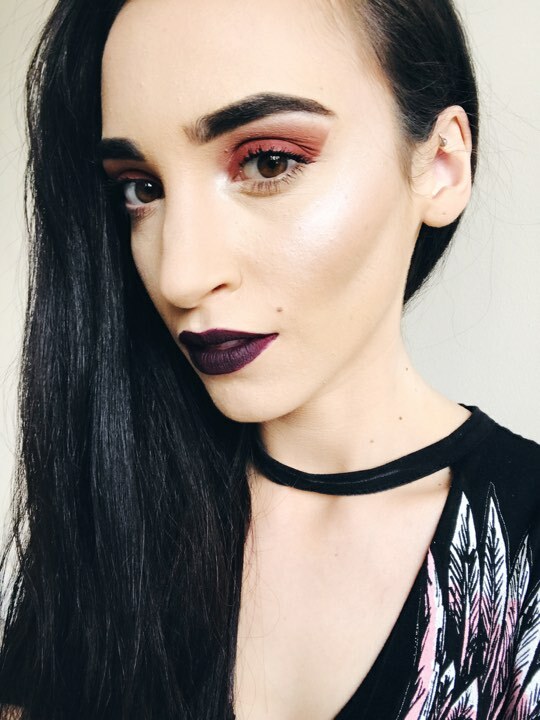 Moon, which is the purple highlighter that I have been loving for months, has the same consistency as Lightening so is very easy to blend out on the skin and layers amazingly. I was a bit worried about trying out different coloured highlighters at first but I loved this as soon as I put it on. I don't have any drugstore blushers in my collection at the minute so decided to see if these were going to be any good. Perfect and Glow are the two completely matte blushers that I decided to go with. I really like using this orangey toned one at the min as it's getting warmer and the browny one is perfect for creating a bronzy makeup look with. These blushers are super pigmented! You only need a tiny bit and a light hand otherwise you'll spend ages trying to blend them out. To finish the palette I thought it would be good to have a contour powder in there so I could bring less products with me if i'm travelling. I chose the contour powder in Light/Medium, I was debating over this one and the Medium/Dark one when I was shopping online but I think this is the right shade for me. Unfortunately all the Makeup Obsession contour shades are warmed toned so i've been using this more as a bronzer as I prefer cool toned shades for my contour. For me this product is just okay as it isn't the easiest product to blend out. 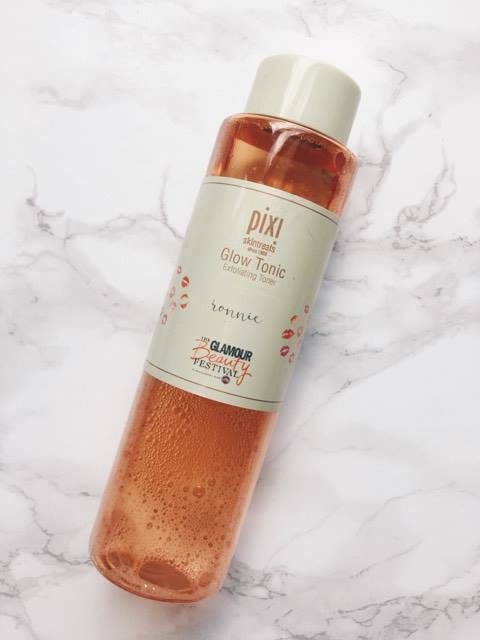 I can still use it but if i'm not careful it can look a bit patchy on my skin. As you can see I went with the medium sized palette which holds 6 pans, you can also buy a large palette which holds 12 pans and they come in loads of different colours from white to rose gold. 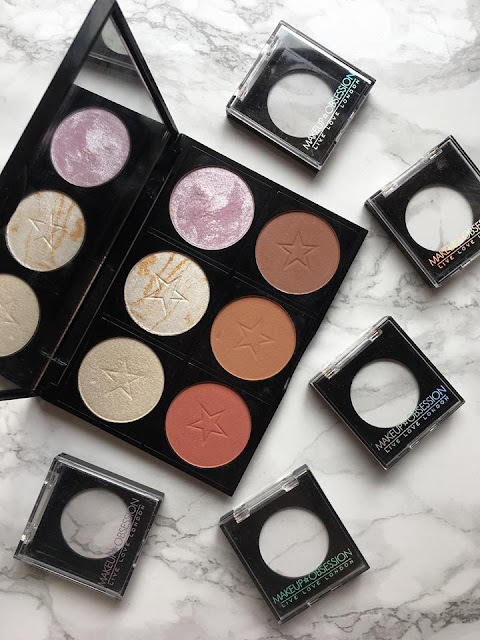 The palettes cost between £4 to £8 and the individual pans that can be popped out in a palette cost either £2 or £3. They can be found online at Boots, as well as Tam Beauty and in selective Boot stores. Have any of you guys tried out anything from Makeup Obsession? I was pleasantly surprised by the blushers and think that Moon and Lightening are a complete steal for only being £3!! I defo think it's luck of the draw with what products are good and what products are bad. So I would defo recommend going into a store that stocks Makeup Obsession to test out and see for yourself which products have the best quality before buying.